“Sundot Kulangot” – Coconut Candy Boogers? Monsoon rains are keeping me grounded so I spend my time looking over at my photo files. I found something interesting taken months ago that I’ve already forgotten all about them. I want to share them with you as you may find them unique. I do not know whether they can also be found in other parts of Southeast Asia. But here in the Philippines, they have become a rare find especially in Manila. Before scrolling the page down, can you guess what these “objects” are? 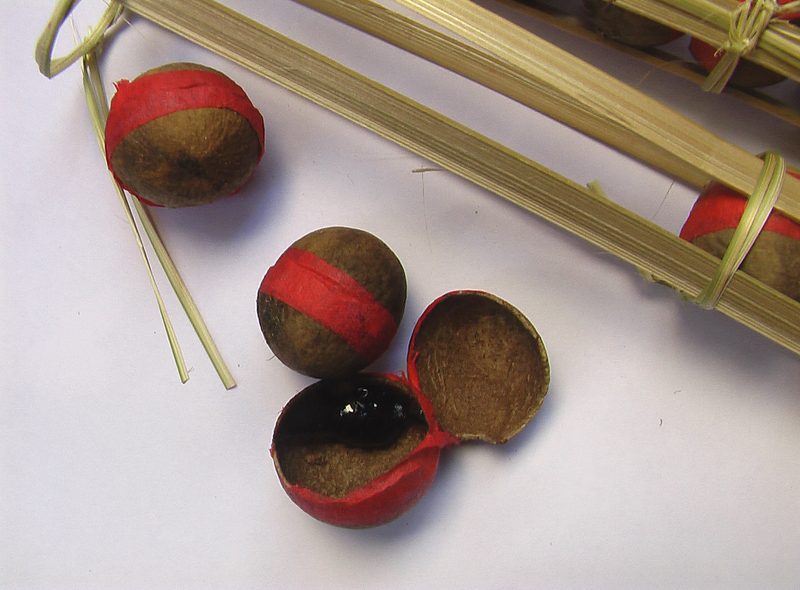 There are in fact coco candies [actually, pinch of “kalamay” or glutinous rice cooked with coconut milk and brown sugar] stored within the small coconut- looking shells. 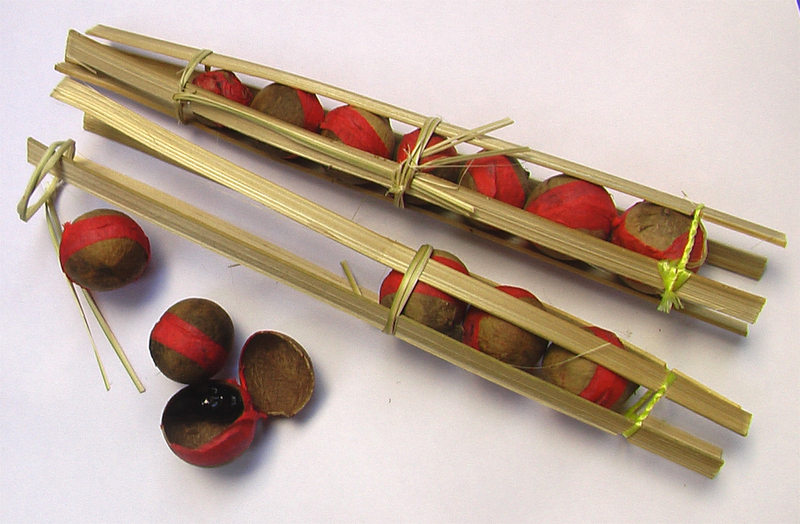 When I saw them the last time I went to Baguio City in the North, I bought some as they reminded me of my childhood. They used to be commonly sold in Manila alongside “matamis na bao” or coco jam packed in cellophane. Isn’t the packaging great? With the anti-plastic campaign now largely spreading in many Philippine cities and provinces, natural and indigenous packaging materials such as this should be encouraged. 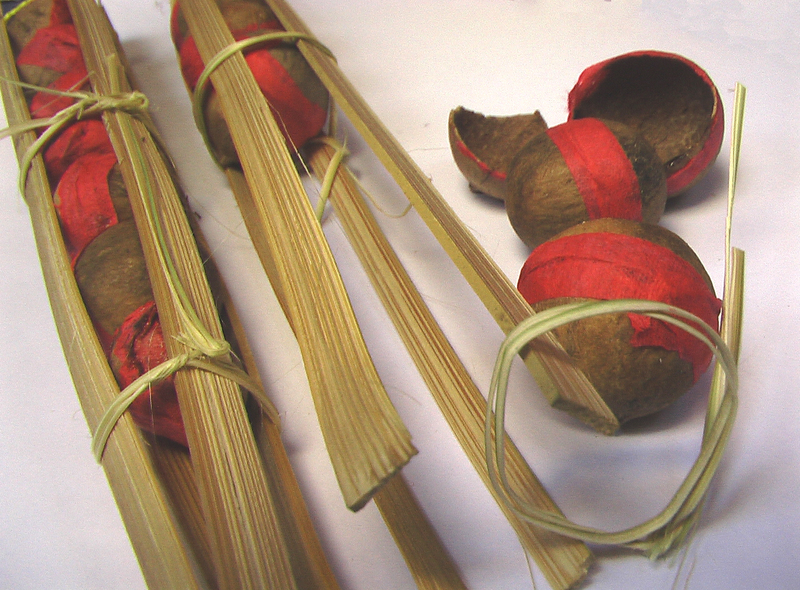 They are popularly called “Sundot kulangot” described as “a native candy from the Philippines composed primarily of coconut jam enclosed in wood orbs, which are in turn held by bamboo sticks. This one measures about 9 inches in length. It’s sweet, soft and a bit tacky! A rough literal translation of the title would be candy boogers!” [http://www.flickr.com/photos/nelman/123069398/]. 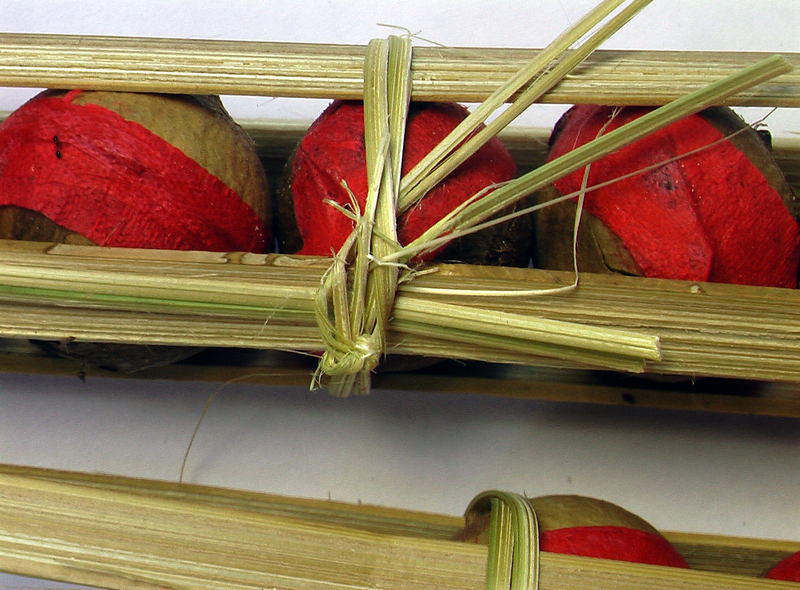 To open the mini-coco shell, the red paper glued to hold the two half shells has to be cut. 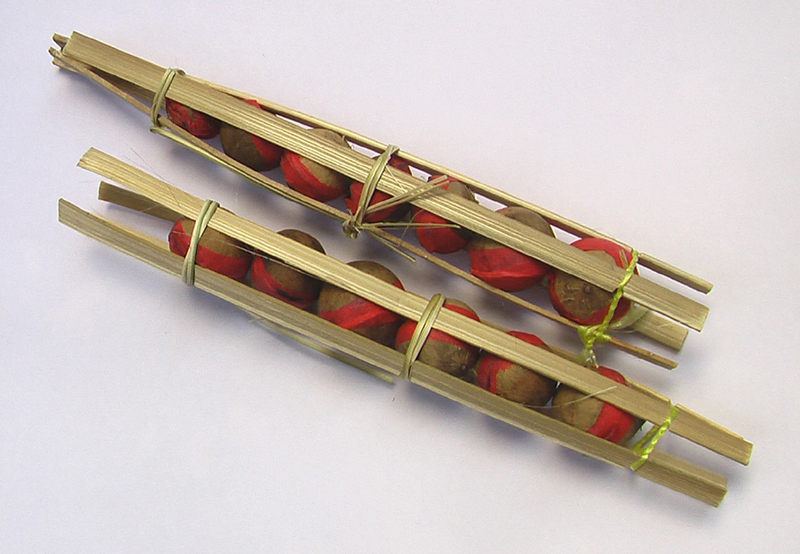 It is called “Sundot Kulangot” because a finger is used – if you don’t have a stick, i.e. 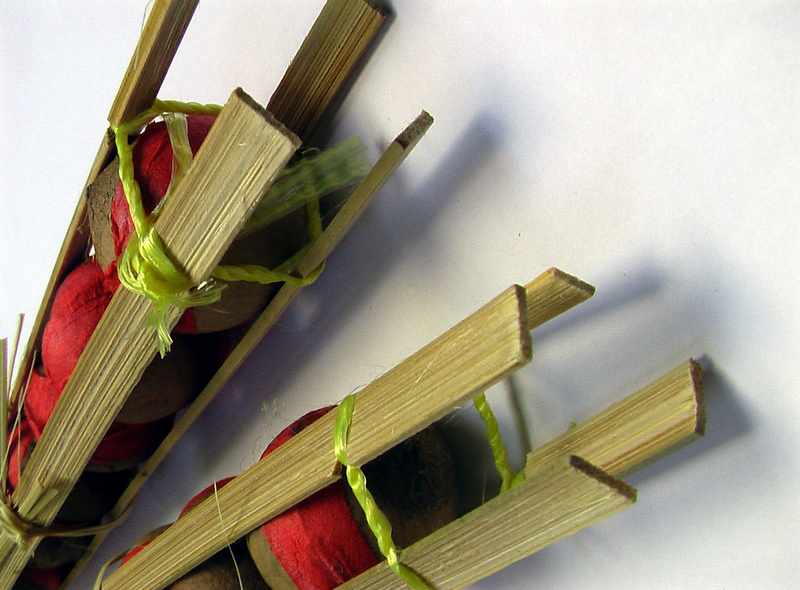 a popsicle stick or a tiny spoon – to take the candy out. It is as if you are nose picking. Hahaha!! Here in the Philippines, where eating using hands instead of spoon and fork is still being practiced even after the introduction of the fork and spoon by the Westerners, it is not bad manners to do so [depending on the occasion of course]. Although it has become rare, it remains a cultural practice we find common or normal even in popular Manila restaurants like in Mang Inasal!!! They are also common when there’s family picnics or fiestas. For the few who are still “practitioners,” they actually enjoy eating fried chicken and fish better using bare hand and fingers; and that includes me — once in a blue moon– especially when it is raining. However, one must be dexterous or skilled in practice. Unfortunately, I have never mastered it. Anyway, I did not enjoy eating them as much as I’ve enjoyed them before. Probably, because it is easier and better to eat the same kalamay in bigger or palm sizes. What I enjoyed was just looking at the interesting and meticulous packaging using bamboo materials which are quite common in the country. Really cool. I’ve found some odd stuff looking back through my photo files – but never any candy boogers. Am happy you found them interesting too! I do hope to see your odd stuff photo file collection! I’m sorry Charmaine. I don’t know of any place in Manila that still sells sundot-kulangot. They are mostly available in the North, Baguio City in particular.